Home truths are always the hardest. Beatrice Palmenter is 36, a successful filmmaker. And discontent. She is about to make two journeys, one back a thousand years to the world of the Anglo Saxons, the other to wartime France. It begins when she holds a small skull in the palm of her hand on the bleak foreshore of the River Thames. It continues as she travels to Paris and Marseille on the trail of the world famous restaurateur Joseph Troumeg. Along the way she meets three extraordinary women and archaeologist Harry Wesley. And discovers some home truths about herself. 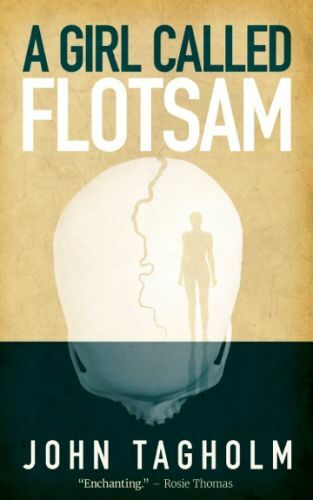 A Girl Called Flotsam is a captivating love story and a compelling mystery about the elusiveness of history and the messages, true and false, it leaves behind. This is a very polished and skilful piece of writing. It is also real page turner; the reader becomes as desperate as Beatrice to discover the truth about Troumeg’s parents and about Flotsam’s life. It’s clever historical fiction and a good detective story and a powerful love story that provokes a lot of thought. What’s not to like?